Opera is not known for its queer-centric love narratives. Chuck Dillard wants to change that. A classic pianist and voice coach, Dillard, 42, recalls being placed in uncomfortable positions in singing classes as an undergraduate in conservative South Carolina at Furman University. Dillard, who identifies as a cisgender gay man, says typical opera roles often seemed ill-fitting. "I remember being in a voice lesson with a friend of mine," he says, "and he was singing this song about a woman, a love interest, and his voice teacher kept saying, 'What does she look like?' 'Can you imagine her dress? Imagine her hair?' This was 1990-something in South Carolina, so neither one of us were out, and it made me so sad to think about him having to present himself in a straight way if he were to pursue this career." While off-putting, the experience didn't deter Dillard from pursuing a career in opera. Earlier this year, Dillard, who is both the assistant professor of collaborative piano and opera program music director at Portland State University, founded the Queer Opera Experience. The program's inaugural show—a collection of opera scenes, including a rendition of La Bohème, one of the most popular operas ever written and the inspiration for the film Moulin Rouge—takes place later this month. La Bohème tells the story of Rodolfo, a poor writer who lives in a small apartment with three friends, and falls in love with a tuberculosis-afflicted woman, Mimi. 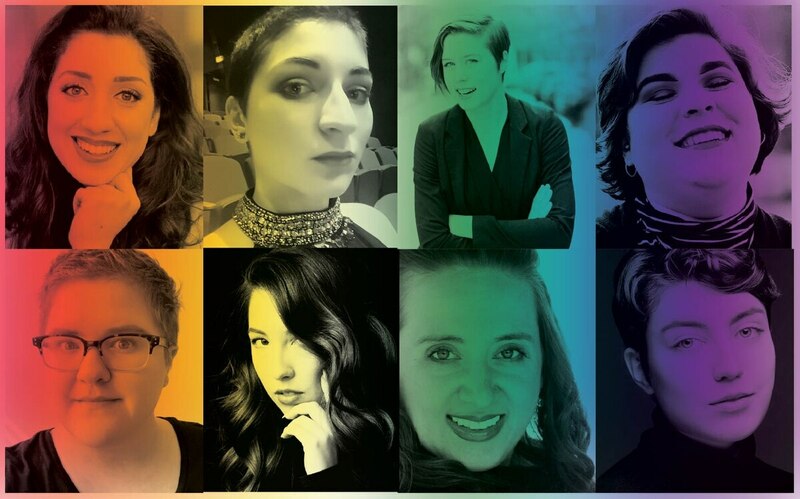 Queer Opera Experience's rendition of the opera will be performed by a seven-member cast, including five current PSU students, one recent graduate and one faculty member, all of whom, Dillard says, identify as cisgender women. "Even though we have all women," he says, "we do have a wide variety of sexual identity. They range on the queer spectrum from lesbian to gender fluid to completely straight." The concept for the Queer Opera Experience came in 2016, when Dillard moved to Portland from Austin, Texas, where for eight years he was a lecturer in collaborative piano at the University of Texas. "Austin is a liberal town," he says, "but it is not as diverse socially as PSU is. The students that I saw in the building, there were many that were gender fluid or non-binary, which I had not been exposed to before, and some were singers." Dillard says the Queer Opera Experience was born as a way to give queer students an inclusive platform to perform. And as a concept, the Queer Opera Experience is novel. It is one that strives to rewrite antiquated, heterosexual, man-dominant narratives in ways that include diverse queer experiences. It is, according to Dillard, "not really about gender and sexuality, it is regardless of gender and sexuality." A hefty task. While allowing people to define gender on their own terms is the stuff of liberation, that kind of deconstruction is difficult to achieve in operas that are often more than a century old. In truth, placing cis-women in roles written for cis-men is not revolutionary, or inclusive, by itself. Such an approach inherently excludes non-binary experiences. Not to mention, queerness is, in many ways, a defiance of assimilation—it does not necessarily want to be assigned masculine versus feminine, strong versus weak, stoic versus empathic, or leader versus led. Nonetheless, Dillard says choosing an opera classic like La Bohème was intentional. "I want people who are expecting one thing to get something else," he says. "If I chose an opera that was relatively unknown, or a more modern opera that dealt with queer experiences, then there wouldn't be this queering of the opera for the audience." Dillard says he and stage director Rebecca Herman welcome collaboration with singers in terms of how their characters present themselves, which could mean changing the characters' names or pronouns. "We want to make sure that whoever is singing is comfortable with the role that they are portraying," Dillard says. 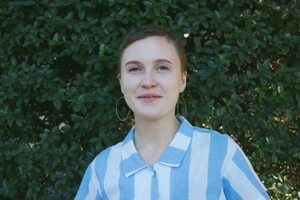 "Some of the women are very excited about embodying hyper-masculine roles and some of them are excited about taking masculine roles and making them not necessarily feminine, but stripping away traditional masculinity." For cast member and PSU undergrad Savannah Panah, the Queer Opera Experience presents a rare opportunity to portray a complex woman character in an opera. Panah plays the lead love interest, Mimi, in La Bohème, and hopes to add new depth to her character. "[As a woman], you are not the 'damsel in distress' character, or the flirtatious maid," says Panah, who is 21. "You can transform into a powerful and independent figure, one who struggles with life challenges and longs to reconnect with your identity." The process of questioning established roles, both for performers and audiences members, is something Dillard strives to catalyze. And the task of "queering an opera" is one he equates to coming out. Or, more broadly, self-discovery. "Everyone has to figure out who they are and how they are going to present themselves," Dillard says. "It's the same process in casting these roles. The only added level is thinking, 'Who is this character and who am I and how can these two identities work together?' as opposed to, 'Ugh, I have to play a straight colonel in the army, how am I going to pull this off?' That's what a lot of queer people have to deal with in opera, and that's what I want to avoid." However, in staging a queer-centric production of La Bohème, one wonders: Is the work a deconstruction of gender binaries, or a traditional opera rewritten with an all-woman cast? Contemporary, LGBTQ operas are beginning to get stage time. Portland Opera's As One, which debuts March 22, tells the story of a transgender heroine, Hannah. And in May, a rendition of Brokeback Mountain will premiere at the New York City Opera. Still, Dillard says it's the classic operas that will always dominate prominent venues. "The big opera companies around the country are never going to cast Figaro [the lead in The Marriage of Figaro] as a woman." Dillard says. "What I'm more interesting in doing is creating opportunities for people who want to participate even on a very small scale like the Queer Opera Experience." Dillard may be right. But perhaps the truly magnificent works are the ones that render Figaro irrelevant. SEE IT: Queer Opera Experience's debut concert is at Lincoln Hall, 1620 SW Park Ave., facebook.com/queeropera, on Saturday, Sept. 15. 7:30 pm. $10.